In 1977 the BLM made an unprecedented discovery in the remote Beatys Butte area of the high desert country of southeastern Oregon. They spotted a band of twenty-seven previously unknown wild horses that proved to be direct descendants of the Spanish horses brought to the Americas by the Conquistadors in the 1500s. This band was the foundation of the Kiger Mustangs of today. The Kigers are a living testament to an incredible part of American history — a heritage that has endured on its own through centuries of hardship and adverse circumstances. Now there are precious few of these unique, pure examples of the Spanish origin horses left — less than 200 in the wild — in the BLM management areas of the Steens Mountain in Oregon. A third refuge where they can be protected and developed is essential if Kigers are to grow as a breed into the future. They need to be protected, recuperated and restored, like the bald eagle and buffalo have been restored. The government can't do everything and there are lots of other wild mustangs that also need help. This is why the Kiger Refuge foundation was formed. 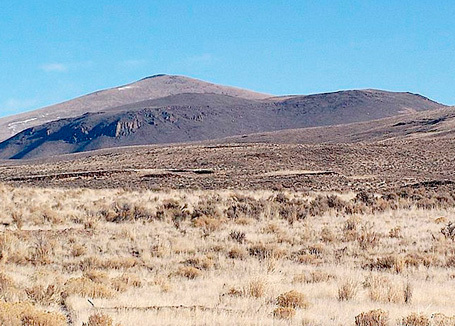 Josh Warburton, BLM wild horse manager at the Burns BLM in the 1970s had dreamed of finding a remnant band of Spanish Mustangs in the remote outback desert of eastern Oregon. He had discussed it with another BLM horse specialist, Ron Harding. They both were skeptical that there were any Spanish Mustangs left in the wild, but they dreamed about it. Their dream came true when a load of horses gathered from the Beatys Butte range, at an area known as the Oriana Rim — one of the most remote places in the entire Great Basin — were brought in to the Burns corrals. These BLM employees, along with Bill Phillips, also of the Burns office, are the Godfathers of the Kiger Mustangs. The BLM has done a masterful job of protecting the Kiger Mustangs. Now, what we collectively dream for the Kigers will determine their future. The Kiger Refuge has a dream of a private homeland where these horses are safe from predators, shifting political priorities — where they have ample food, water and shelter — where their future is guaranteed. Kiger Refuge is not about competing with anybody. We are about bringing everybody together to harmonize our efforts on behalf of the Kiger Mustang we all love. Many of the greatest Kigers presently being produced by breeders get sold to carry on breeding and sport horse operations. Our goal is to collect the best available individual horses, from the BLM herds and breeders, and give them a safe haven. Their only responsibility will be to perpetuate the finest examples of Spanish Mustangs that survive today into the future. Then people from all around the word can come to see the horses in their natural habitat, being provided with the care they need. What Can Be Gained by a Mustang Preserve? First, it would be a living monument for an incredible part of American History -- a species that has endured on the continent through centuries of hardship and adverse circumstances. The Spanish horses are authentic. They are of much higher zoological value than any other horse as they are both the indigenous wild horses of southern Europe and the original Spanish Mustang of North America.